Here is a card I have made for my friend's mum for her birthday.I used 3mm adhesive white pearls and a pearl buckle slider and gorgeous 10mm teal satin ribbon which can all be found at Meiflower crafts .The teal striped and spotty card is from Anna Marie deigns . I wanted to show you this card, part of my DT work over at the Paper Shelter, which as well as being blinged up with lots of Meiflower stick on crystals also has some of her square Dazzles on there (turned sideways to make diamonds). You won't find the Dazzles on the website and would have to phone up to order any,or pick them up at the shows, but they are gorgeously sparkly and come in squares, circles, hearts, marquise and rectangle shapes, they remind me of pave diamonds. 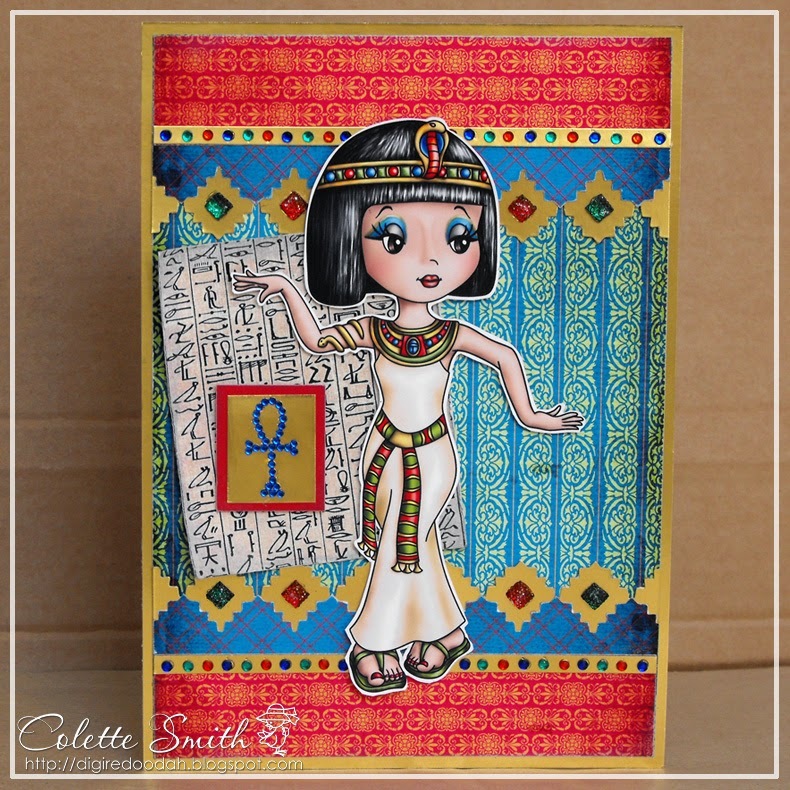 On this card I have used my Promarkers to colour them in red and green so that they match the rest of the card it was so easy and looks really effective, you still get the sparkle but just in a different colour. 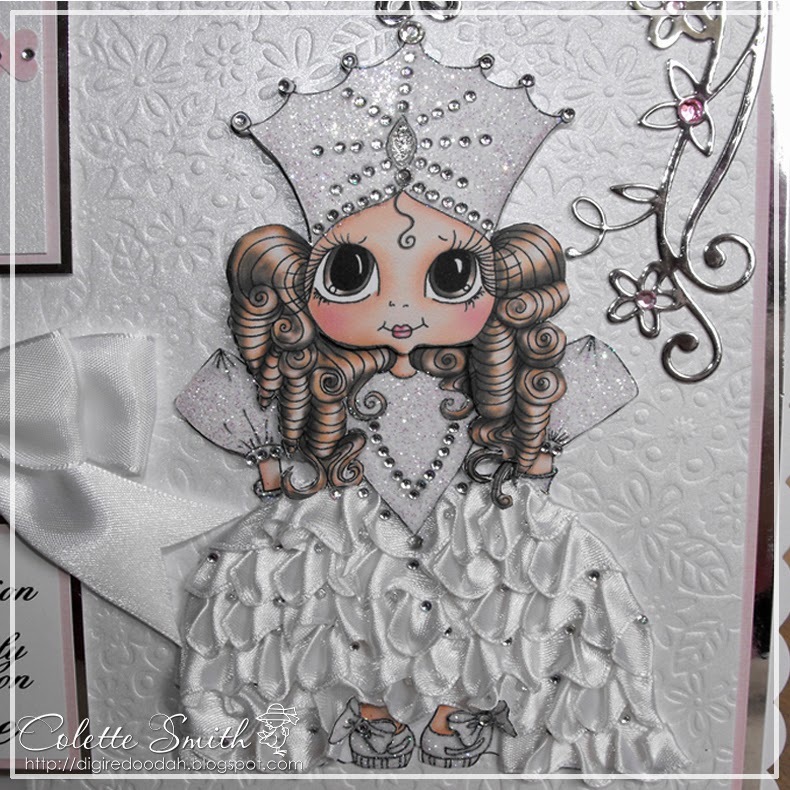 Here's a card I made using a cute ballerina digital stamp I found in an Etsy store called Alicia's cute shop, I used some Spellbinder dies to frame the image and decorated the card with Meiflower organza ribbon, stick on gems and a cute pair of ballet shoes charm. 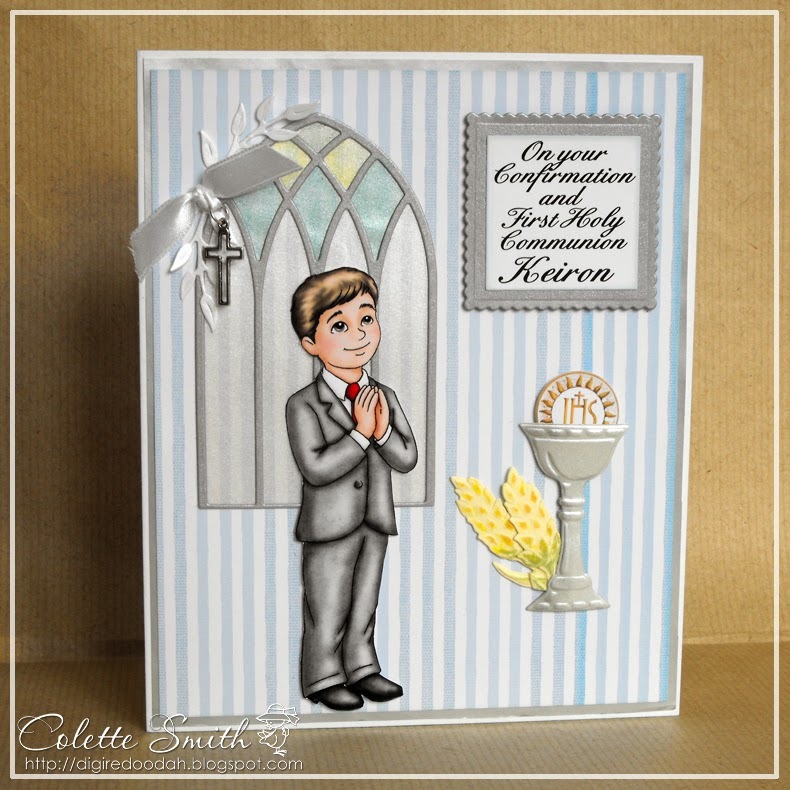 My friends twins took their First Holy Communion at the weekend so I thought I would show you the cards I made for them. Keiron's card on the other hand is very plain with only a small Meiflower cross charm tied on with some satin ribbon. Hi there, here's a card I made using a topper set from Paper Creator. 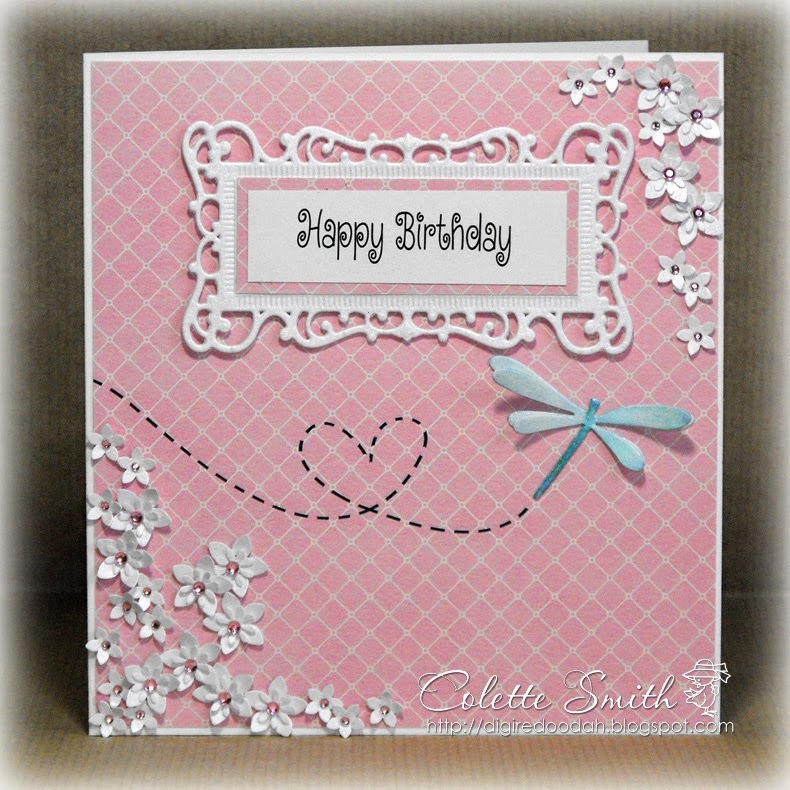 I use a few die cuts to embellish the card, then added Meiflower gems and pearls to decorate them along with an organza bow and a diamante wedding rings embellishment - also available from Meiflower. 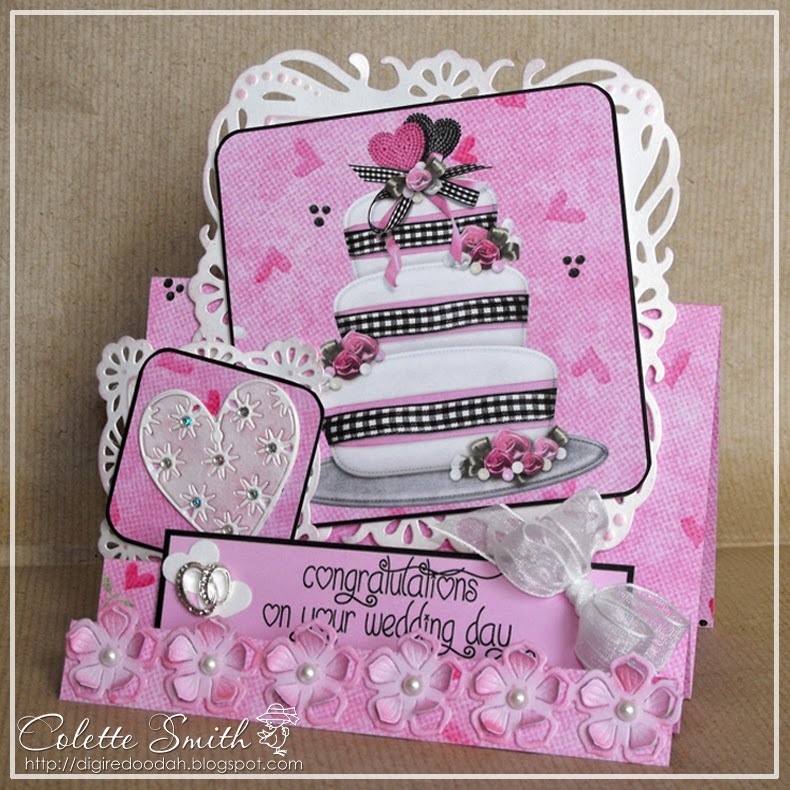 The heart is a memory box die, which I cut out, then I pushed the centre part out rubbed it over with a pink pearly ink pad and pushed it back into place again, I then added a tiny AB crystal to the centre of each shape. 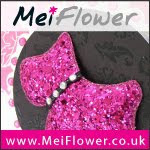 Here's a birthday card I made using lots of punched flowers and 2 sizes of pink stick on gems from Meiflower. The dragonfly is a Penny Black die and the flowers were made with X-cut palm punches. The two smallest sizes of gems are just perfect for the centres of these little flowers. 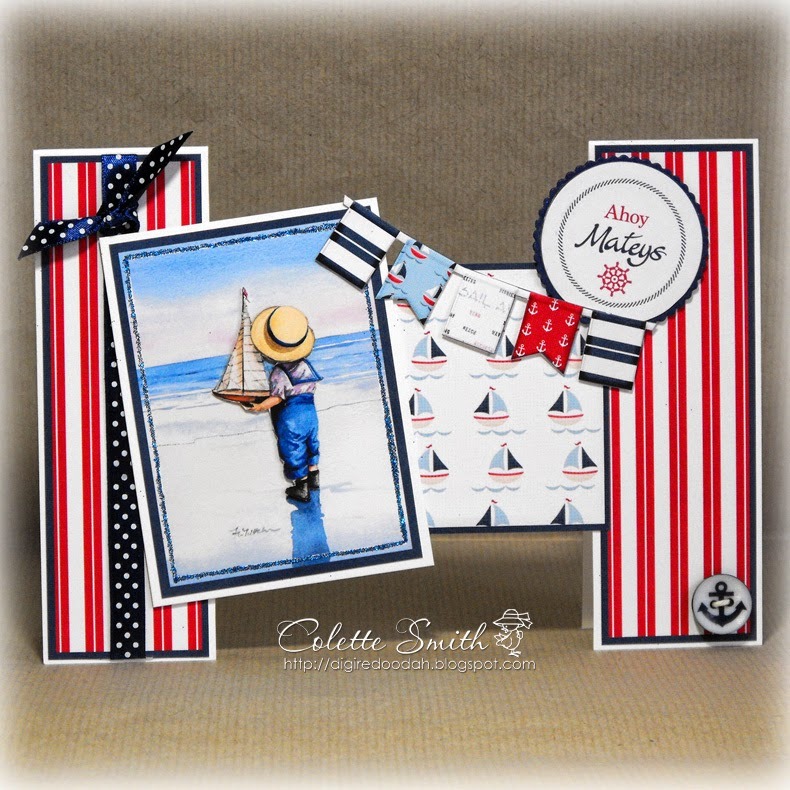 Here's a card I put together using an image from The Faye Whittaker CD rom, I really wanted to do a nautical card so that I could use the fab anchor buttons from Meiflower, (not online yet, but can order by phone or email),they come in red and blue and are perfect for all your nautical needs.